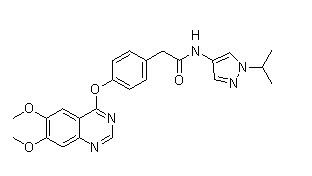 MRX-2843 is an orally available small-molecule inhibitor of both MERTK and FLT3. TG-46 is an inhibitor of JAK2, FLT3, RET, JAK3. STK321130, also known as FLT3-IN-2, is potent FLT3 inhibitor. 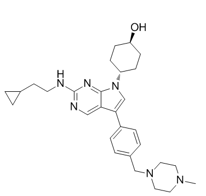 SU5614 is a potent and selective FLT3 inhibitor. AC710 is a potent, selective PDGFR-family kinases inhibitor with Kd values of 0.6 nM/1.0 nM/1.3 nM/1.0 nM for FLT3/KIT/PDGFRα/PDGFRβ respectively.